Getting Ready for Retirement is such a big topic and there are so many different issues that people need to consider before they retire that it can seem over whelming for many people. Everyone is different of course and has many needs as well as things they would like to have or be able to do. Unfortunately we cannot have it all and need to make many compromises. The number and kind of compromise really depends on two major factors. The first is your health, because if your health is not good, then it really does not matter how much money you have. Of course the 2nd factor is sufficient money to do the things that you would like to do. Both health and money can be controlled to a certain extent by yourself, although sometimes outside issues get in the way, however for most people it is really up to you how you spend your retirement and depends on the decisions that you make in younger years. I recently saw an 82 year old women riding an electric bike on the bike trails in Palm Springs. If she can do this, then there is lots of hope for the rest of us! We will discuss a lot of issues in this post, some of which will apply, while others will not have any impact on you. Just skip over those that do not interest you or do not apply to your situation. We guarantee that there is something for everyone in this post, so read on and enjoy. Here is the list of topics that we are covering. Feel free to add others by leaving a comment at the end of this post. No Matter what age you are at, exercise is part of staying healthy and living well into retirement. Exercise will always help to burn off those extra calories and it will also help to regulate the heart, the lungs and all of your muscles. You will feel good about yourself and be able to enjoy that much more of life. There are some of us that believe you have to run marathons and climb mountains to stay healthy. In reality you just have to get out there and walk at a fast pace for at least 30 minutes 3 times per week. This is the minimum really and if you can do more, great. If you have trouble doing even this amount, then start smaller and work up to it. Even a 10 minute walk a couple of times a week will help and as you build up stamina, you will be able to go further and further. Take walks in your neighborhood, chat with the neighbors and get to know your area. Go for walks in some of the parks in your area and other places that interest you. Let’s face it it gets pretty boring if you go to the same place every day for a walk. None of us can really stand that. Plan some of your walks with a friend and plan to go new places. This will bring more interest and challenge to you as well as your friends that you invite a long. Remember to always bring water with you and always tell someone were you are going and when you will be back. They can keep an eye out for you and come looking for you, should you run into some difficulty. Walking can be fun and you see so much more of the outdoors with the fresh air. Walking is only part of staying healthy. This brings us to our next topic and that is eating healthy food. Eating healthy is so important and there are many aspects to it which can make it very complicated for a lot of people. Often they will just give up and indulge themselves in the foods that they really enjoy. There are all kinds of diet plans out there, some work and some don’t. However the bottom line is that no diet plan will work regardless of how good it is , until you have made the commitment to yourself that you are going to lose weight and do what needs to be done. Without this commitment, there is really no hope of losing weight and keeping it off. Sure, all of us can lose weight for a while, but them we just fall back to our old habits and on the pounds go again. Change your lifestyle and make the commitment to yourself that you are going to lose weight and keep it off. Combine it with a great exercise plan and you will lose weight, be more healthy and feel great. A sensible plan without all of the complications means managing your portion size and then burning off some of those calories. You might exercise like crazy and still gain weight because you are eating far more than you should. Decrease your portions, use a smaller plate, split meals with a friend when you go out and drink more water. If you have just eaten, and want to eat something additional, wait 10 or 15 minutes and your stomach will tell you that you are full and does not need more. Avoid desert or at least make the size much smaller. If you live in America, you probably already know that the American restaurants serve large food portions. It is way too much for most people, yet they seem to find away to cram all of that food into their stomachs. For years now my wife and I have been splitting meals. Not only do we decrease the calories we eat which is the objective, it has the side benefit of saving us money at the same time. Most restaurants do not object to this practice. Watch your portions and if you have to snack, check the calories to avoid eating more than you should. Eat some vegetables, or other low calorie snacks to pacify that craving that all of us get from time to time. Remember that you want to strive for a negative energy balance i.e. Energy in the form of food less energy expended in terms of daily activity and exercise should be a negative number if you are trying to lose weight. Staying healthy is a full time business for all of us and sometimes we just cannot avoid dealing with some health issue that creeps up on us. We have talked about exercising and eating properly. As we get older we have more and more of these health issues to deal with and eventually they will prevent us from being able to travel, golf or whatever we like to do in retirement. Each person has their own goals for retirement, however after having talked to many people who have worked as long as they could, taken retirement and then found within one or two years that their retirement is severely limited due to health issues. Sometimes it is bad knees or bad hips, while in other cases it is a stroke or heart attack. Our recommendation is to enjoy every day and make the most of every day. Do not put off your retirement just to make a few extra dollars unless you absolutely have to . When you retire, you suddenly are not going into the office any longer. You do not get to see your friends and colleagues at work, some of which you might have worked with for many years. Your days can be much more limited in terms of people you see and deal with. All of this can bring on a sense of loneliness and even a fall in terms of self worth. Many people will go back to work either part time or full time just to regain that social part of their life that they are now missing. A solution to this issue is to focus on building and maintaining friends well before you retire. These are friends that you will carry into retirement and people you will spend time with once you retire. Whether it is playing cards, playing golf, various sports , traveling together all of these activities can be shared with your friends. The point is to find activities that you and your friends can enjoy together both before and after retirement. People with friends, lots of friends, are often much happier about themselves and enjoy life much more. It takes work, it takes staying in touch with people, it takes helping people and much more. It is all worth it and will help you both in retirement as well as pre-retirement. Really this is something we should all do regardless of what age we might be. A word of caution! Don’t mistake the collegial activities that go on at work for friends . Some may be carried over from work to retirement, however many of these activities are part of the networking that we all do to maintain good relationships at work and to help us find new jobs etc. We should all continue to participate in the sports activities and activities at work, however what we are saying is that sometimes these relationships do not carry over to retirement since networking with a retired person does not help much with ones career inside the company that you are no longer part of. Those people will quickly drop off your radar screen since they are focused on their jobs and careers and have not realized that they should also be focusing on maintaining friendships throughout life. Retirement can be a big issue for anyone who has not done some planning or at least taken the time to think about what they will do with themselves once they retire. Now you have from 8 to 10 hours every day to fill that work filled before you retired. In addition you had something to talk about when you came home at night and had dinner with the family. Now with all of this extra time on your hands, what will you do with your time? The worst thing you can do is begin tailing your spouse and trying to manage your spouse. You may find that you have a mutiny on your hands. Developing a plan, hobbies, and things to do will help immensely with your enjoyment of your retired years. Not everyone has hobbies or the money to follow some of these things. Not everyone wants to follow hobbies and realistically you cannot work on your hobbies all of the time. One of the things that many people have found is that they need to have many things to do that interest them and fill their days. Planning your days the way you would at work with every hour planned is not the way to go either. Fill your days with both planned activities as well as spontaneous activities as well. In order to do this you need to retain your flexibility and willingness to take advantage of things as they occur, which means something else may get delayed. Before you know it you will wonder were the time is going. Personally we are at the stage were we take 3 month holidays. Not only are our holidays filled , they are not long enough! For example, I am writing this post over several days, because there are just too many other things that I need to get done in the mean time. We have talked about some of the non money issues and we also need to discuss some of the money issues as well. Let’s face it, if you do not have sufficient money to do some of the things you want to do, then retirement might be frustrating for you or you need to work longer than you had planned. Focus on planning financially for retirement as early as possible. You will have a much better chance of attaining your goals if you start early. There are many issues to think about when it comes to retirement and one of the most important is that of money. If you do not have enough, or have to live on a very tight budget, retirement life may not be what you thought it was going to be. Living with the children, or living in an area with low rent is not everyone’s idea of retirement life. Fortunately everyone with a little bit of financial planning and starting early when you first begin working can make a huge difference in your welfare. We will cover a number of areas that may be of interest. If they do not apply then move onto the next. Comments are welcome. If you are investing your savings over a lifetime, chances are that you will make a few mistakes along the way. You may purchase a stock that declines and you lose your money, or the hot mutual fund does not climb the way you thought. Maybe the fees were much higher than discussed. There are a host of areas that many people will not consider as they invest their hard earned money and save for retirement. There are a few mistakes that can have a really major impact on your retirement plans. These you have to avoid! If you place all of your investments in one investment you are taking a huge risk. If that investment goes south, you could lose all of your savings. We just have to recall Enron and Nortel. Both companies were flying high and both companies are worthless today and yes, some people lost their life savings. Always follow a balanced diversified investment plan. A balanced diversified plan will include investment in bonds, mutual funds and stocks and cash. It will include investments across most major sectors of the economy and most investments should not form a major part of the overall total. This approach should protect you from major hits on your retirement plan. The majority of investment advisers are legit and will provide you with great advice, however there have been a few that basically walked away with all of the money their clients had. If it does not sound right or you are uncomfortable with a particular investment ask for a 2nd opinion. Even if you have great confidence in your adviser, it is still a great idea to have a 2nd opinion. Investing is a complex business in a complex market. It is impossible for anyone to know everything, so ask around and get other opinions. Get involved and study the investment decisions prior to placing your money in any investment. Some investors will place all of their investment in high risk investments hoping to make a huge return on these investments. You should never place everything or even a high percentage in high risk. A balanced portfolio as discussed earlier is always the best route. When you are young you can afford to take these chances, since time is on your side and you can recover from major losses, however as we get older, High risk investments should form a lower part of your investment especially if you need the income. Most people will shift to income oriented investments as they get older. This is one of the biggest mistakes we all make and it impacts everything we do. Investing is a complex business and it is always a good idea to talk to other experts and seek varied opinions. If some one disagrees with your approach, always get to the root of the disagreement and examine your own reasons for the approach you are taking. At the end of the day, you are the one to lose money, not your advisers and not your friends. Over confidence can caused you to follow a stock all the way to the bottom without even knowing it until it is too late. There is definitely a herd tendency to investing and it is difficult to step out of line when everyone else seems to be doing what the herd is doing.We only have to look at the stock markets over the past few years to see the effects of this herd mentality. Still if you are able to make your own serious decisions and not be too greedy, you can get in when stocks are low and out when they are high, well before the herd figures out what to do. Many members sell when stocks have dropped and buy when they are high, which is exactly the wrong thing to do! We would all like to time our investments perfectly to capture the lows and sell high. Unfortunately most of us are just not that astute and do not have the tools available to us to make this happen.It is incredibly difficult to time it just right either for the highs or the lows. What the good investors do is to invest in excellent quality stocks and invest for the long term, taking in dividends as well as gains in the market. If a company does not do well and appears in trouble, your monitoring of the investment should capture this and allow you to get out in time. We all know that you cannot just watch your garden grow. You need to add fertilizer and remove the weeds from time to time and then make sure it gets watered at regular intervals. Your investments are like your garden. In order to have a healthy investment portfolio, you need to monitor your investments, make adjustments from time to time when the balanced portfolio gets out of line and you need to make strategic choices when there are significant market changes taking place. Work with your adviser, but never relinquish control to anyone but yourself. Retain the control over the investments, how they are managed and how they are reinvested as they mature. We all feel that we pay too much in fee’s, however there are some you just cannot get away from, while others are negotiable. If you are managing your own portfolio, use a discount brokerage house to do your trades. However if you are working through a financial adviser, the only way he gets paid is when you place trades through him or her. You received the advice for free, so now you have to pay. However you can split your portfolio and minimize the fees as a result with some under your discount broker and some under your financial adviser. When purchasing mutual funds, ask for an explanation of the fee’s, how they are paid and when. There are huge differences among mutual funds! We have touched on investment diversification earlier in this post. The basic message is to avoid placing all of your nest egg with one adviser and in one stock or mutual fund. Good advisers will work with you to determine your risk tolerance and your objectives. There are a series of questions that they will take you through to help you make these decisions. Once you have an idea of what kind of investor you are, he will recommend a series of stocks and mutual funds for you to invest in that should be spread across several market segments as well as domestic and international markets. They should also match your risk tolerance profile. If you cannot sleep at night because you are worried about your investments, then you are probably invested with too much risk for your profile. With proper diversification, when one market segment is down, others are pulling their weight and maintaining your overall portfolio value. If you are invested in good quality stocks, they will recover even in the face of the kind of downturn we experienced in 2008 and 2009! It takes constant monitoring and lots of care to make sure that your investments will be there when you retire. This is something I have taught my kids from when they were young enough to start getting an allowance. Take 10% of whatever you make, save it, lock it away, invest it wisely and watch it grow. Once you start this savings plan, and get used to not having your 10%, pretty soon it will just be part of your normal everyday life. If you start early, and do not touch your savings until you are ready for retirement, you will have a nice little nest egg to enjoy. In fact it may be a large nest egg depending on how long you have been saving and the types of investments you have chosen. For those of you who also have a retirement plan, this savings plan is really icing on the cake which will allow you to do pretty much everything you want when you retire. If you do not have a retirement plan, you will still need to set money aside in retirement plans. There is a huge temptation to borrow from these savings plans as yo ugo through life. A new car, a new roof on the house, a larger mortgage are just some of the things that come up and make you think that it might be a good idea to borrow from the 10% savings plan. Try to resist. You will find a way to pay for these things. Do not jeopardize your retirement. It is very hard to save your money and so easy to spend it. 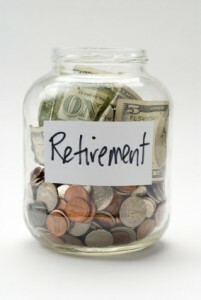 Many people wait until a few years before they retire before planning for their retirement. While it is ridiculous to try to tell a 30 year old to plan his retirement when they are focus on climbing the corporate ladder and trying to raise a family, there are a few things that can be done early and will help in the long run. For example, start your 10% savings plan, invest in RRSP’s or 401k’s, review your companies pension plans and most important have an investment plan that makes you independent of the many curve balls that life throws at you. Layoffs, being fired, companies going into bankruptcy, health issues are just a few of the things we all need to plan for and have a back up plan regarding how we will support ourselves as well as our families. As you get closer to retirement, you can get more detailed. Were do you want to live, should you down size, vacation homes, places to travel and other activities too numerous to mention. Consider all of the personal things that are important to you and begin planning how you will approach them in retirement. You do not have to make decisions until you are ready, but at least you have thought about them. Work with your investment adviser or develop your own spreadsheet to estimate your income level once you retire. This will help with your decision as to when to retire and how much money you will need to live the kind of life you want to live once you hang up the shingle. Being tax efficient about your investing is important because it can make a huge difference about the amount of money the government refunds to you or collects from you. Most people will want to invest in their RRSP’s or 401k’s when their income are at their highest level so that they reduce their taxes by the maximum amount. Once you retire, your income will be reduced and most people will find themselves in a lower tax bracket. This is the time to begin cashing in your plans at a lower tax rate and overall you pay less taxes to the government. If you have trouble understanding this, don’t worry about it. Just invest in RRSP’s while you make your maximum amount of money and don’t cash them in until you retire. Talk to your accountant to review the details. Many bank managers can also assist you in this area as well. Another area that we would like to cover are interest rates that you pay on loans, mortgages and even credit cards. These are all loans with various payment terms and interest rates that can vary a lot. The simplest one and the most expensive are credit cards. Credit cards start around 16% and can go all the way up to 28%. They are the most expensive loans you can use to carry a balance on. The interest rate does not change that much, so you could say that it is fixed, however it is one of the most expensive in the market. Always pay the balance on time to avoid these high exorbitant rates. This seems contrary to our recommendations that you should diversify your investments. However some of us will over do it and have far too many different investments that make it impossible to manage and keep track of. We like to stick to keeping the maximum value of each investment to no more than 5% of the overall total. If all of your investments match this level then you would have 20 funds or stocks in your portfolio. As funds or stocks grow, you will need to sell some to bring them back to the 5% level and re-invest the proceeds into other areas. If on the other hand your limits were set at 1%, you would have 100 different investments and at this point it gets difficult to manage and monitor. You are investing for the long term, however it pays to monitor your investments and make adjustments from time to time. Most people will find their own comfort range, and land somewhere between 20 to 50 funds or stocks. More than that, you probably need to consolidate! Take control of your finances – don’t ignore your bills and credit cards, take control of them and develop a plan to achieve your objectives. Once in place you will feel much better and empowered! Pay down your debt – This is the best way to save money. Pay down your debt and save huge amounts of interest that you would otherwise pay with after tax dollars. Spend less – or put another way, live within your means. Set a budget, make sure you set 10 % aside for your savings and retirement and stay inside your budget to prevent going further into debt. The more you save the better off you will be in retirement or in a situation were you are laid off and need to have some savings to get you through a layoff while you look for another job. This is your safety cushion. Develop a personal investment policy statement – This is really a statement of your plans related to your finances. How much you will save, how much you will borrow and how quickly you will deal with existing debt. Set objectives and develop tactics about how you will achieve your objectives. Re-balance – re-balance debt to minimize your payments and interest payments. Pay off credit card debt which carries the highest interest rates and consolidate loans such that your payments meet your ability to pay and minimize your interest payable. Get tax efficient – Invest in tax efficient savings plans, particularly when you are paying the most in income tax. You can reduce the amount of taxes you pay to the government by investing in tax savings plans. Iif you have a family, it is particularly important to make sure you have life insurance as well as disability insurance. Disability to cover you if you can no longer work and life insurance to provide for your family if you are not around to provide for them. Don’t give up – Sometimes times get tough and you just have to pick yourself up and keep going. There are many stories about people going bankrupt several times only to make it really big. If you happen to lose a lot of money, learn from your mistake, move on and start again, and don’t make the same mistake twice. Review, adjust and enjoy- don’t sit back, stay involved and continuously monitor your investments and make the required adjustments as needed. Overall enjoy your life, we only get to live this life once. The following statements really do not need any additional comments. They are self explanatory! Diversify, never put all of your hard earned money in one stock etc or even with one investment adviser. If it is too good to be true, then it probably is not true. Take control of your investments and learn what you need to know to make informed decisions. The question that everyone wants answered! Unfortunately there is no easy answer to this question because everyone’s situation is different. Some people will still have debt, while others will have a full pension. Some will still have kids in university, while others will have multiple families they need to consider in their financial planning. With so many variations, the approach that you may want to consider is to look at your current income and expenses. Make sure you have a really good idea of what these are since many people do not even know what their expenses are now, let alone when they retire. This is your starting point. Next review all of these numbers and estimate how they will change on the day you retire, including both income as well as expenses. There are several good tools available such as Quicken to help you prepare this analysis. Take into account all pension income from your company as well as any you might get from your government. Now that you have an estimate for the year you retire , continue with this same approach for the five years following retirement. Be prepared to make adjustments each years as expenses and revenue change. Once you know if you have sufficient money for your retirement, you will be able to decide if you need to make any changes to balance your income with your expenses. If you come up short i.e. you are spending more than you take in, you may have to consider cutting back on your expenses or work a bit longer. Some people like to continue working after they turn 65. They like the social part of it and the extra money is nice as well. Others cannot wait until they are finished working. I guess they really did not have a good experience with work or they have many other things to do in their lives. But life after 65 is not the end. There are the grand children, the nieces and nephews to visit and look after. Some will travel and others will do volunteer work and help the community in many different ways. In fact the number 65 is not what it used to be. Many people are retiring at 50, 55 , 60 and some are working well into their 70’s. For some people work is what the love and the people they work with . Take the time to figure out what is best for you and what you find satisfying. Figure out what makes you happy and follow this guide to fully enjoy your life after you retire from your job or jobs. We have talked a lot about budgets and planning your retirement, figuring out what your income will be as well as your expenses during retirement. Getting to this stage is very important and you have made a great step forward if you have developed a financial plan for when you retire. For those of you who want to be really sure that you can withstand all that life throws at you from a financial perspective, doing a stress test on your financial plan is an excellent way to build in additional safety and protection for you and your family. Start by decreasing your income after retirement by 10%, leaving your expenses as they are. What is the impact? Do you still have sufficient funds or do you need to tighten your belt and cut back on your expenses? With this simple test you can quickly determine how exposed you are if your income declines for some reason. Next, increase your expenses across the board by 10%. this is the same as saying that there is going to be rampant inflation of 10% or more. What is the impact? Do you have sufficient funds to cover these higher expenses? or do you need to cut back on something? Depending on the severity you may even have to go back to work or delay your retirement by a year or two to give you that additional safety margin you need. Complete these stress tests every year and adjust as required. In many families one spouse or the other will look after the financial planning aspects for the family. In most cases one or the other takes an interest. They will follow up on all of the financial issues that need to be dealt with. In reality the more involved both parties are in the planning and understanding the plan as well as the quality of life that they will have during retirement the better their overall relationship will be. If one is worried that the other has not planned sufficiently to deliver a good quality of life or is in the dark about what to expect in retirement, then relationships tend to suffer. Some of the best relationships are built on trust and full disclosure of all family elements. However this means that both have to get involved. Both have to meet with financial advisers. Both have to jointly participate in decisions about investment strategy and investment decisions regarding specific stocks and mutual funds. There are so may benefits to making joint decisions. If you recall how decisions are made in the business environment, there are reviews and discussion and often a joint or group decision is arrived at. Although this takes more time and work, the benefit is that better decisions are usually made. The same is true of financial planning. If you and your spouse are jointly involved, debating your plans etc, then chances are better decisions will be made. I have heard many people talk about the trips they are going to go on, the cottage they are going to buy or the downsized home that they will purchase. Some will purchase new cars and other new toys as a kind of congratulatory gift to themselves for making it to retirement. Many of these same people have no idea of what their income will be and how they will pay for some of the things that they are considering. The point of this section is asking people to stop and consider your expenditures before making that leap. Make careful and studied decisions before you make that leap. Once you retire, you have a fixed income that may increase slightly, but definitely does not keep up with inflation. So the money for anything you purchase has to come from your savings or you pay each month on a monthly payment loan basis. As of April 2010, the Canadian Government has announced that the bank rate will likely increase in June. the US government may increase their bank rate by the end of the year if the US economy recovers sufficiently by that time. Australia already has increased their bank rate and other European countries are announcing their intentions to do the same. If you are an investor with investments in CD and bonds, you will be happy about this turn of events. Since your income can be expected to rise. If you are borrowing money for a loan or a mortgage, you are going to pay more for your loan. That means that your retirement nest egg may not go as far if you still have a mortgage. Now is the time to lock in interest rates before the go up to high. They could cost you much more money in interest payments. If you are an investor you may need to wait a little bit longer. However better returns should be expected in the latter half of 2010 and into 2011. As you plan your retirement , do stress tests and make adjustments each year. Take into account these changing interest rates. Assess the impact that they may have on your financial plans as well as your retirement. Interest rates can play a significant impact. Especially if they go up drastically. For those of you who recall the early 1980’s interest rates went up to 21% for new mortgages. These were scary times for borrowers, but great for investors! Knowing what life stage you are in financially can help with your financial planning. They are generally as follows: Young and Single; Married no kids; Married with Kids; Pre-retirement; Active Retired and Non-Active Retired. Each phase has different requirements from a financial perspective. For example , Married with Kids extends for a long period of time. From when they are first born until the finish university, with all of the associated costs. Sometimes these phases can overlap. Anyone who has children late in life could find themselves with kids still at home. Each phase places some kind of financial stress on you. If you prepare for it, it will not be a problem for you. Again map out your major financial expenses associated with your life phase. Match your income requirements accordingly. You may have to work longer than expected. If you find that kids, university and other expenses take up more funds than what you had planned for. On the other hand if you started saving early, have a good pension plan and managed your money carefully, you may be able to retire as planned. You can still look after all of your obligations while retired. Enjoy the good life as well after retirement. This is one of the biggest worries that everyone has. How will they make their money last so that they can live comfortably and still have some left for the grand kids etc? None of us really know how long we will live. We could be dead tomorrow or we could live for another 40 years after retirement. It is not unusual these days for someone to retire at 50, live for another 40 years before passing away at 90 years of age. With this scenario, you will be retired more years than the number of years that you worked. I agree that this is unusual, however some have done it. Many more people are retiring at 55 or 60 and living to 90 and 95 years of age. This is still a long time to live on your retirement savings. Making your money last is a combination of factors. Controlling how much you spend, having sufficient savings and pension income, taking advantage of interest rates that pay well and living within your means. Once you retire, your income really depends on pensions and investments. For the most part it will stay pretty constant, unless you are heavily interest rate dependent and the rates change drastically. Pensions will increase based on the inflation index, which is to say not much at the present moment. The only way you can make your money last is to control your spending. Control your spending. Be careful about doing upgrades to your home, vacation spending, gifts to the kids etc are all within your control. Utilities , taxes at the municipal and federal levels are not within your control. You just have to pay them. Make sure that you are getting all of your deductions. Use a good accountant that ensures you minimize your tax exposure. Controlling your spending on discretionary things is the real way that you can make your money last. However when you are healthy you should enjoy life. It really does not matter how much money you have once you lose your health. Having a million dollars while you lie in bed does not do you much good other than make you comfortable. Many people are not comfortable about talking about life spans and death. You can refer to your parents in terms of how long they lived. Add 5 years because you had a healthier life style. That is as good an estimate as any regarding your life span. If you had a family member die early of heart attack chances are you will live well beyond their age. Health improvements have made significant advances. Once you have arrived at a life span, it is a simple manner to calculate how long your money will last. There is some risk to this approach since you could live longer than your estimate. You will have to deal with it at the time. The worst thing for many people is that they cut back. They saved and did not spend their money in case they might need it. Only to pass away or become sick before they could really enjoy it. Enjoy your life and spend some of your money. Spend it while you are healthy enough to enjoy your favorite pass times. This is the most critical time for saving and planning for retirement. You will never achieve the level of savings that you could have if you had started earlier. However you can still make up a great deal if you start 10 years prior to retirement. Are you thinking about retiring in 10 years. Are you confident that you will be able to work for another 10 years. Start Saving now. Save as much as possible following the general guidelines that we have outlined in this post. Are you confident that you will be able to work that long because of health issues. Or you are afraid of being laid off by your employee. Save everything you can and curtail your expenses significantly! For those of you who think that you may be a bit over confident, do the same. Over confidence has caused many people unneeded hardship. Save every cent you can for your retirement. The answer is different for everyone. For some they cannot wait until the day they retire. They never want to go back to work ever again. Of course the other extreme is the person who loves to work. They enjoy the social aspect of work as well as the extra income. There are many motivators for this type of person. For some it is social, money, power, perks. Others it is a lack of a home life, lack of hobbies and things to do that interest them. For many people they ease into the retirement. They may actually retire from one job and then continue working for a few years on contract. Or go to another job that meets their financial and personal needs. They start by working over the winter and taking the summer off. Perhaps they work 3 or 4 days a week. They gradually cut back until they finally admit that they have had enough. Regardless of the reason, it is the right decision for that person. They enjoy life and the people around them for as long as they can. They also enjoy exercise and a proper diet. Which maintains their health and enables them to continue doing whatever they prefer. Some of the don’t s and we will use an extreme example to illustrate are as follows. You retire at 65, spend your time at home watching TV. Occasionally doing some gardening. However this gradually declines. Limited exercise, drink and eat more than you should and generally become a couch potato of the extreme kind. This is by far the worst thing you can do. Since you will probably cut years off your life and be very bored. Get out and go for walks, get involved with the community. Volunteer, take a small part time job, Travel to see your family and generally participate in life! This ends our post on getting ready for retirement. We have covered many topics that hopefully will be of interest to readers. If you did not see what you were looking for, let us know and we will try to address it. Leave your comments in the comment area of this blog! Good luck with your retirement and enjoy your life! This entry was posted in Retirement and tagged 10% Savings Plan, Investment Diversification on 2010/05/07 by ernie.